Planning an outdoor wedding is not easy. What will the temperature be like on the big day? Will your guests be comfortable? 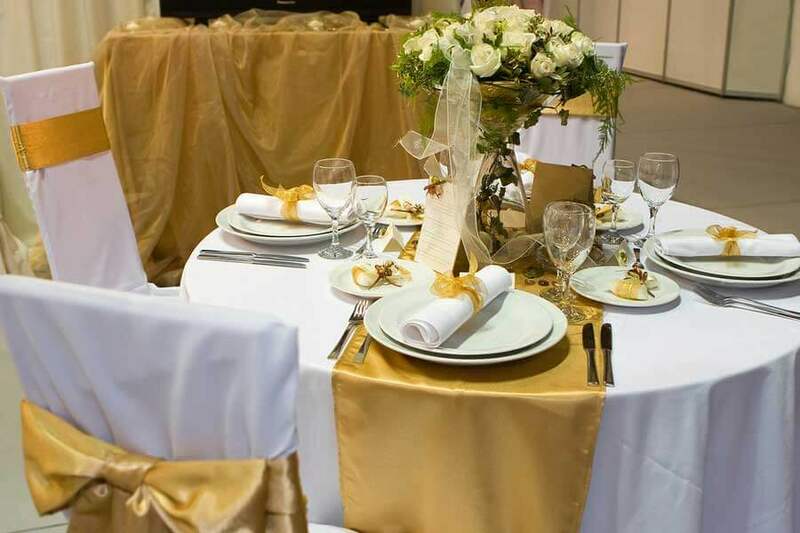 Decor also factors in, as outdoor decor will be much different from decorations at an indoor wedding. Here's some tips for keeping stress low both in planning at during your wedding day. Check the historical temperature for your chosen day. It should give you a hint at what to expect. If it's the middle of summer, provide fans - either small battery-powered, or hand fans, in a welcome basket. Sunscreen should also be available if the wedding and reception are held during the day. Simple blankets can be provided if the projected temperature is colder. Food is also affected. Water and ice should be plentiful. Combine with slices of citrus fruits to add taste. Seafood, meats and cheese should be kept on ice, while the cake should be kept in a refrigerator until it's time to cut it. Guests will also appreciate frozen drinks added to the bar. Lemonade and iced tea are also old standbys to fight the heat. For warmer weather, consider choosing a summer wedding gown, made of lighter fabric. A seersucker suit or wedding gown is both stylish and will help mitigate the heat. Offer blotting papers and powder to help guard against shine on noses and foreheads - especially important for photos. When in doubt, don't start the wedding early. A wedding at noon or 1 p.m. will see guests uncomfortably hot. Wait until dusk, with the sun's fading light providing not only the perfect romantic backdrop, but cooler temperatures - and beautiful wedding photos. While letting the venue dictate exactly what kind of decorations are used, the rustic route will never be wrong for outdoor weddings. The classic mason jar-tea light combo is both rustic and elegant, and will provide illumination in the waning light of evening. String lights are also popular, especially overhead. Or, place lights under tables with fairly thin cloth, and each table become a large lamp. Using local flowers can add to a sense of locale to the setting, here are notable added benefits to certain flowers (local or not): Sprigs of mint, thyme, rosemary, and lavender are all natural insect deterrents. Baby's breath, peonies, and scabiosa, meanwhile, attract pests. If the wedding is on private property and an exterminator is an option, spray 48 hours before the event. Otherwise, use citronella torches to keep mosquitoes and other insects away. Looking for ways to cut cost? Use your venue to the fullest. Instead of renting a photo booth, hang a wooden frame from a tree. Guests can stand behind the frame, using the background already provided by nature for a fun photo. Be sure decorations are heavy enough to withstand any wind the area might face. Candles not in tall holders are liable to being blown out, while cloth napkins could go flying. One of the biggest amenities to not forget is bathrooms - especially with larger weddings. The general rule is one bathroom per 35 people. Otherwise, a cheap portable toilet rental is called for. For an additional fee, luxury porta potties can be rented - especially good for such an important event. These might come with granite countertops, air conditioning or heating. Supplying power to the stringed lights mentioned earlier counts doubly so for a DJ. If there is no local power, or it's too far away, a generator might be needed. The DJ might be able to provide their own; be sure to ask. An outdoor setting is also ideal for a band to play an acoustic set - fitting in with the rustic theme. Where will the dance floor be? Will you have a dance floor, or just a designated area? Be sure to scout for an area that, while not strictly a dance floor - say a pool area, if the wedding is at a private residence, made mostly of concrete - could double as a place for the best man to show off his best Saturday Night Fever impersonation. While some details are important, the minutiae will be forgotten. The venue itself will be remembered; the hand-painted sign welcoming them will not. The general atmosphere of decorations will; specific parts will not. The exact playlist will be forgotten; how much fun guests had on the dance floor will be a lasting memory. The big picture, as with any wedding, is more important than minute details. A groomsman jumping in a pool or pond while still in his suit will be remembered, while the chairs at an indoor wedding will be forgotten by the next day. The bridal party, lit by the setting sun on a dusty road, evokes more feelings than the same poses outside a plain building. 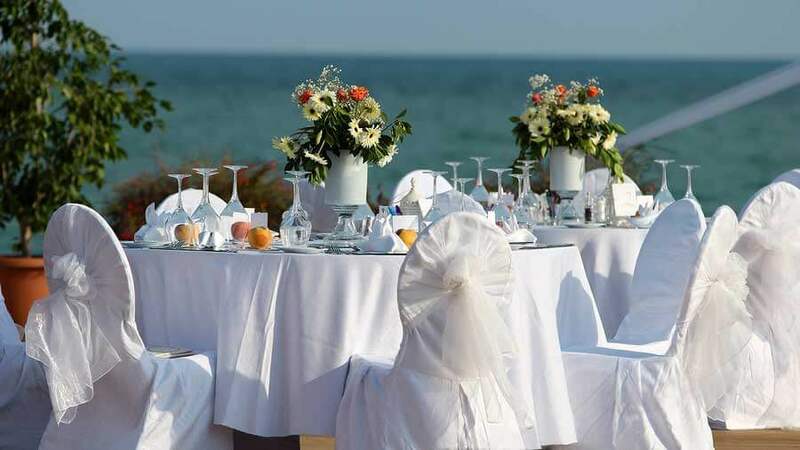 Remember the important details, and use an outdoor venue to its fullest.